A law requiring US citizens to present federally mandated ID cards for "official purposes" such as boarding a plane is likely to be shaken down at the door under the US Department of Homeland Security's new secretary, Janet Napolitano. The ex-governor of Arizona, tapped as chief homeland spook by Obama in January, has been an outspoken adversary of the law since its introduction as a rider act for the "Emergency Supplemental Appropriations Act for Defense, the Global War on Terror, and Tsunami Relief, 2005." Revisions to the law being proposed by Napolitano and other officials, however, appear to be motivated by the cost of implementing the law, rather than out of concern for the privacy of American citizenry or states' rights. Dubbed the Real ID Act of 2005, the law imposes uniform requirements for driver's licenses and state ID cards in order for them to be accepted by the federal government as identification for official purposes. It also establishes new standards for the personal data to be tracked by the cards (similar to that of a passport), and requires each state to share its ID databases with each other. In the US, driver's licenses are issued by the states, not by the federal government. While the law allows each state to continue issuing non-complying IDs, the old cards must carry a unique design and be clearly marked to show they cannot be accepted for any federal purpose. But the usefulness of non-complying cards is rather put into question by the federal government's running the show at US borders and security check-ins at the country's airports. Furthermore, the Act specifies needing a Real ID to enter a federal building or nuclear power plant - but leaves the true scope of what is considered an "official purpose" as an ambiguity. For some officials, it's a tempting opportunity to use the system to track more mundane activities such as purchasing over-the-counter medicines as a means to bust meth labs. Napolitano said earlier this month that her office is working with the National Governors Association (NGA) to propose revisions to the law. The NGA claims Real ID places unnecessary and costly burdens on states and will do little to achieve the law's intended security goals. "Governors are committed to improving the security and integrity of state DL/ID systems, but the timelines and requirements mandated by Real ID are unrealistic," the group states in its online policy manifesto. NGA says implementing the program could cost upwards of $11bn over five years - money the federal government currently doesn't intend to fund and that many states can't afford. Presently, all 50 states have received extensions to the original May 11, 2008 deadline. A few holdout states such as California, Montana, Maine, and South Carolina have either refused to commit to the plan or even passed resolutions not to participate. The current deadline for when all US citizens aged 50 years or younger must have a Real ID license is May 2011. 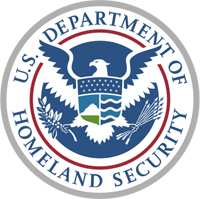 Privacy advocacy groups such as the Electronic Frontier Foundation (EFF) claim the Real ID law fails to provide critical privacy-security safeguards for personal data. Once the IDs and database are in place, their uses will inevitably expand to facilitate a wide range of surveillance activities. Remember, the Social Security number started innocuously enough, but it has become a prerequisite for a host of government services and been co-opted by private companies to create massive databases of personal information. A national ID poses similar dangers; for example, because "common machine-readable technology" will be required on every ID, the government and businesses will be able to easily read your private information off the cards in myriad contexts. While financial complaints are prominent in the NGA's policy, it does recommend establishing further minimum guidelines to protect the "security, confidentiality, and integrity of personally identifiable information." But that's not to say Napolitano and company are against tracking the personal data in the first place. Napolitano is an advocate for states individually implementing so-called "enhanced driver's licenses," which include an embedded RFID chip that allows for remote tracking. "Enhanced driver's licenses give confidence that the person holding the card is the person who is supposed to be holding the card, and it's less elaborate than Real ID," she told The Washington Times .